Yay!! It’s finally sunny again here in Kansas City! 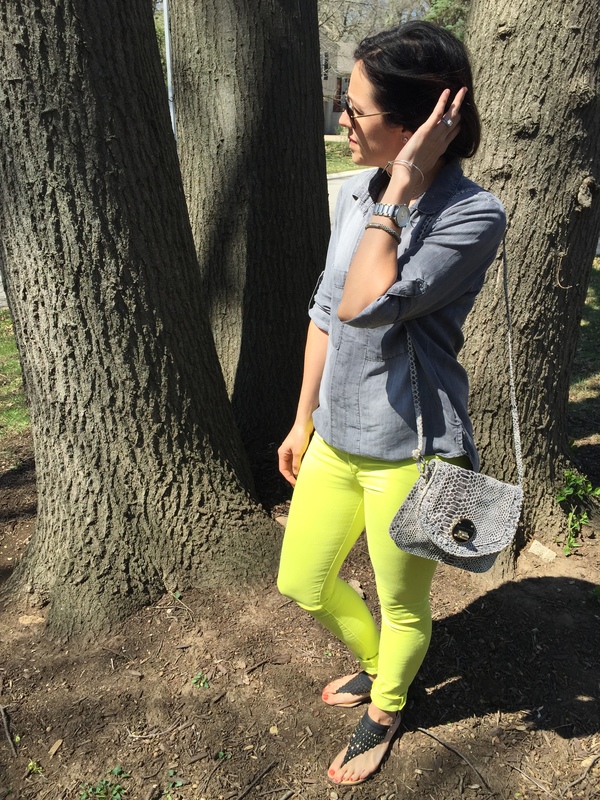 So, it’s time for me to bust out one of my favorite spring jeans, because let’s face it…Spring is screaming for me to wear anything bright! These intense yellow skinny jeans are perfect to wear casual, or you can dress it up with a floaty top and heels/wedges. 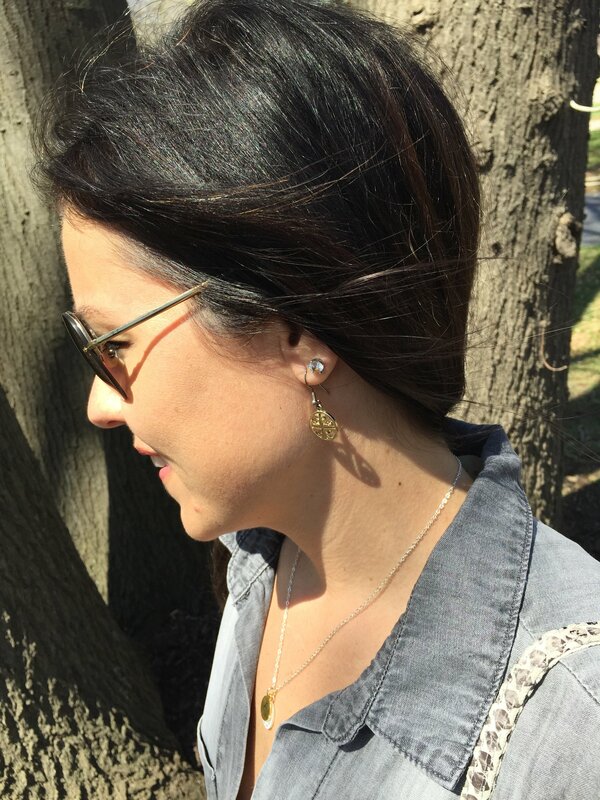 Today, I toned it down a bit with a grey chambray shirt, which is a classic spring shirt to have in your closet. 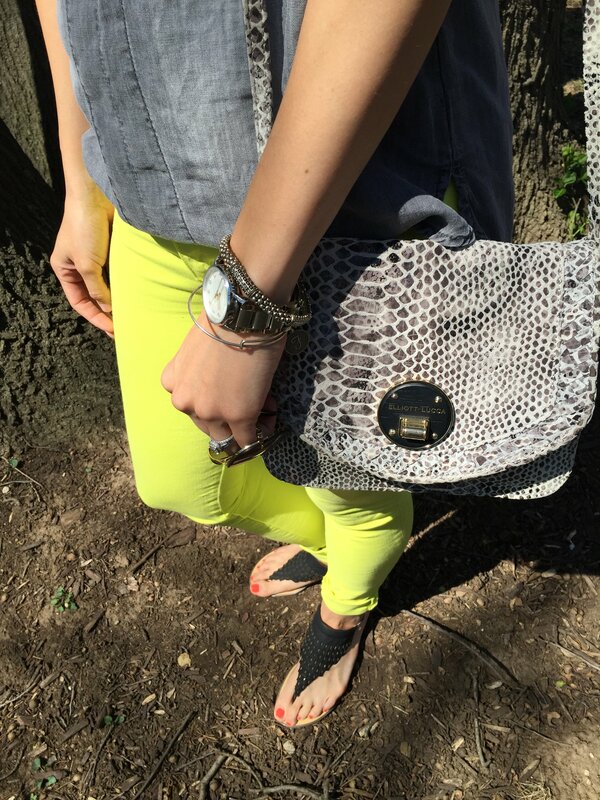 I completed the look with a neutral snake-print bag and these super cute black sandals I snagged off HauteLook.